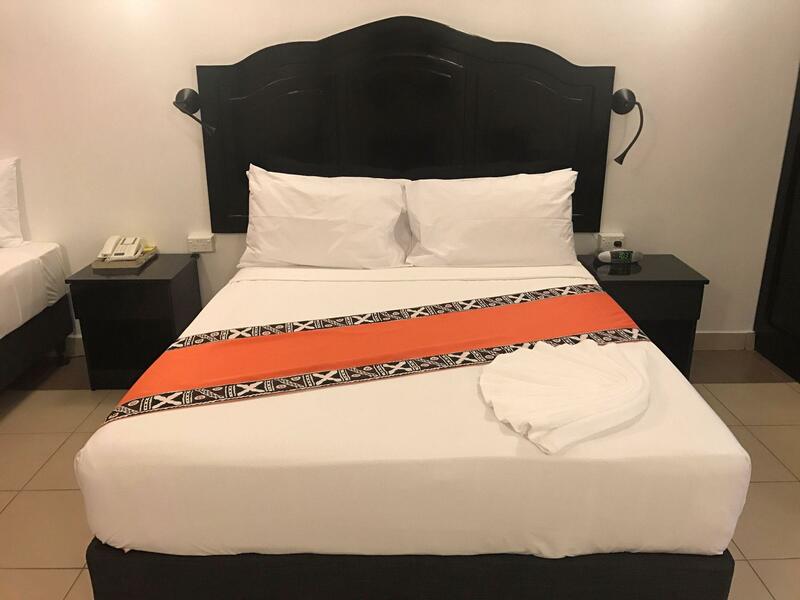 يقع فندق Suva Motor Inn، المصمم ليناسب كل الضيوف سواء كانوا من رجال الأعمال أو السياح، في مكان ممتاز في أحد أكثر المناطق تفضيلاً في هذه المنطقة. يقع مركز المدينة المثير على بعد 1. Km فقط. يشكل هذا الفندق ملاذاَ مريحاً للاسترخاء ويمنح زواره فرصة للاستجمام والتجدد، وهو يقع على بعد خطوات من المعالم السياحية الكثيرة للمدينة. إن الخدمات التي يقدمها Suva Motor Inn تضمن للنزلاء إقامة مريحة. يمكن لضيوف الفندق الاستمتاع بالميزات التالية على أرض الفندق: مكتب الاستقبال على مدار الساعة, تخزين الأمتعة, صف السيارات, خدمة الغرف, التوصيل من وإلى المطار. استمتع بوسائل الراحة الراقية في الغرف أثناء إقامتك هنا. بعض الغرف تتضمن بياضات, مناشف, غرفة معيشة منفصلة, اتصال لاسلكي بالإنترنت, غرف لغير المدخنين لمساعدتك على استعادة طاقتك بعد يوم طويل. صممت خدمات الاستجمام في الفندق والتي تتضمن حوض استحمام ساخن, حمام سباحة خارجي, حديقة لمساعدتك على الاسترخاء والراحة. إن Suva Motor Inn هو مكان مثالي للمسافرين الذين يتطلعون إلى الراحة والاستجمام في المدينة. I've stayed here a few times and would do so again. Rooms have been refurbished to a good standard since I was here last and staff are always friendly and super helpful. Semi outdoor terrace restaurant by the pool is laid back and good for working on laptop (4G much better here than in my room at back of level 2) or for casual meetings. Food could be more exciting but breakfast is adequate. Room TV reception was poor. has a great location in the city, walking distance to bars and restaurants. The only thing about the Facilities i was personally disappointed with was the downgrade of the bathroom bathtub to a shower cubicle :( . Staff are very friendly and helpful. The pool water-slide was also very fun to use . Reception desk needs training. There was one female staff who was rude and incompetent. She tried to charge me a wrong rate for my days of extension when I wanted to pay in USD, which was obviously wrong as the room rate ballooned to 300%, and it was only when I insisted that her exchange rate computation was wrong that she told me that she was looking at the wrong column of exchange rate. It would have been a rip off. No apologies. The rooms, and especially the bathroom are also not cleaned well daily. The room was clean and the facilities in the room were up to standard. Room service is very slow and needs to be improved. Room service staff need to be trained to be more active and to do their work properly. The staff was lovely, especially the maids and the lady at the restaurant (Lenni). The restaurant could use some improvements in menu. Also, they charge $10.00 for a tiny glass of wine. Other (nice) restaurants in town serve a large glass of wine for the same price. It would be convenient to have an ATM on site due to having to pay cash for everything if the room was booked online. Having to pay extra for WIFI is a thing of the past. This hotel needs to provide free WIFI for their quests and decent reception to avoid having to stand outside your room for good connectivity. Staff are very pleasant and helpful. Bula Thank you for your comments. I apologize for the problems that you encountered during your last stay. This is not the type of review that we like to see, and I assure you that I will be looking into each point that you have made. If it is convenient, I would like to discuss your experience further, so that I might learn more about how to improve our property and service for you and our other guests. Thank you for staying with us, and we look forward to another chance to serve you. 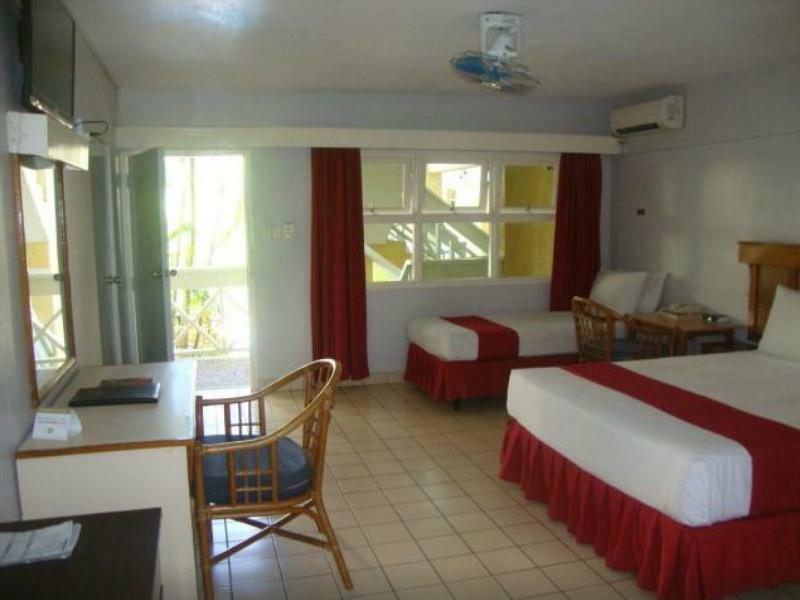 Rooms very acceptable, nice air conditioning along with a ceiling fan - small outdoor balcony & a fantastic FUN pool! We stayed there during "super heat" of Suva...that pool was a lifesaver! Has a little waterfall, a great slide for everyone & a toddler pool as well. Really great for families! Convenient for shopping, restaurants, ect. Bula Catherine, Thank you for taking your time to review your stay with us. I am very pleased to hear that you recommended our room as “ Very Acceptable” and also to our Fantastic pool which was a lifesaver during the heat seasons hear at Suva, and also the mention of our staff has been a great family.Once again thank you for your feedback and we looking forward to having you again as a guest in our hotel. Ok for an in and out business trip but not for a family. The food at the restaurant was gross and overpriced. The layout of the Hotel makes for a very noisy place because of the sounds echoing around. I found Fiji had very little mid range options for accommodation, it was mostly resorts or backpackers. Suva Motor Inn was an excellent place to stay for a couple of nights, although I still don't think it is cheap, the facilities were fantastic and the staff very helpful and friendly. The room was a mini apartment and very comfortable. I used the restaurant once, it was ok but didn't use the pool due to poor weather but it looked good. I was not impressed. When I checked in, they couldn't find my reservation, and all the time they kept asking whether I had booked through Agoda or not. They charge 10 Fiji dollars per hour for internet, and the internet was slow. When I bought a bottle of water at the reception they charged 8 dollar 20; the same bottle costs 2.65 in the supermarket. Really stupid to try to squeeze customers on basic necessities like drinking water and internet. When I checked out, they tried to bill me for the room, which I had already paid for via Agoda. I refused and they simply withdrew the bill - they were just trying. The room was dark and sombre. I will not stay here again. 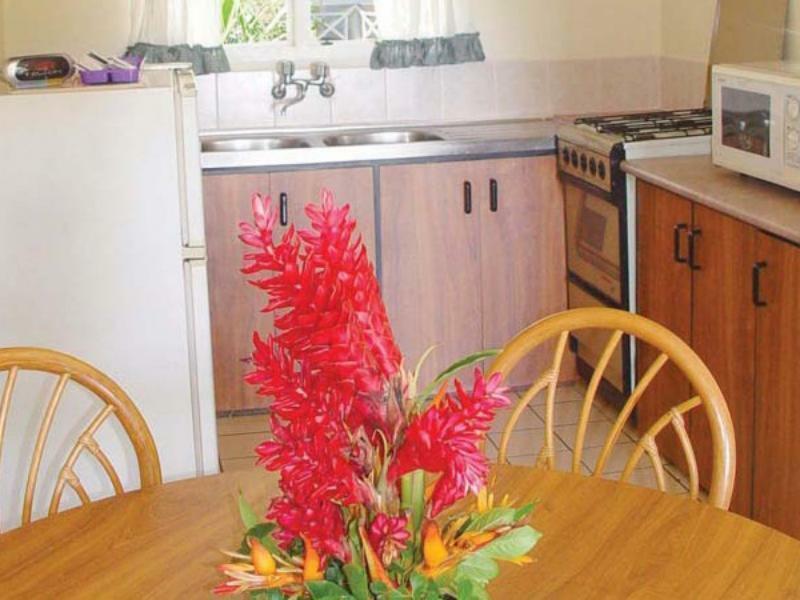 The BW Motor Inn is locataed about a 10 minute walk from Suva's main shopping area and CBD. The hotel is nothing special but is clean and the rooms are a good size. The room facilities are a little basic but again perfectly adequate. Similarly, the hotel facilities are rather limited (e.g. a small pool) but not terrible. I didn't eat at the restaurant but apparently the food is perfectly edible. The staff are pleasant and helpful. All in all, it is a pleasant enough place to stay but certainly nothing to write home about. This was my first visit the Suva and I stayed here due to the proximity to town. 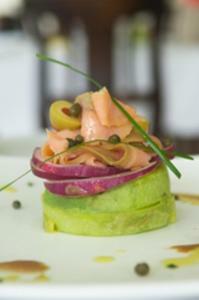 The staff are excellent and there is nothing particularly wrong with the hotel except that it is quite old. My biggest complaint is the quality of the shower - it is one of those extreme water saver shower heads that spread mist everywhere except on you. I personally hate them. This hotel was more expensive than the Novotel but nowhere near the quality. quiet! 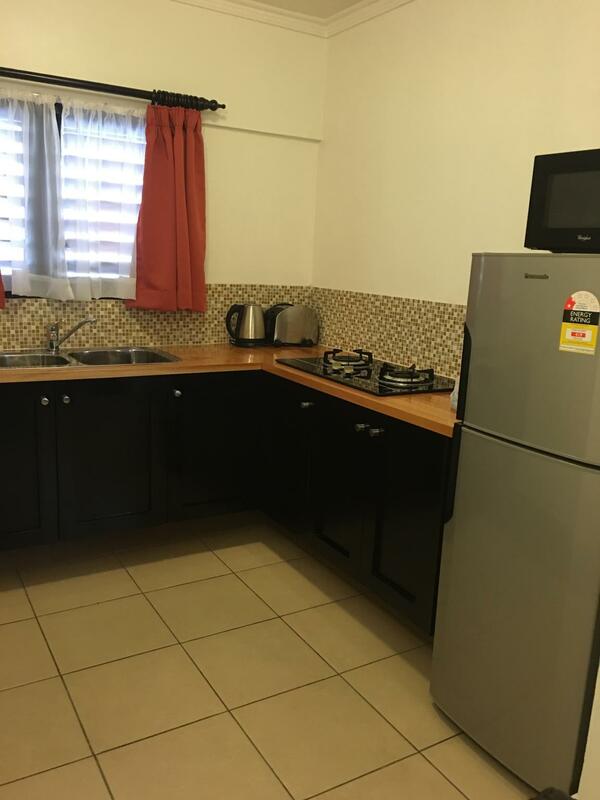 large studio room, ceiling fan, aircon that works, good food in restaurant, short walk to town. i pay for a hotel firstly to get a nights sleep, and i did. just set five minutes walk from town behind a park and the british embassy this is a reasonably priced room and you get what you pay for. i like the tiled floor which makes it cool, but you need to be a bit careful in the bathrooms for slipping when wet. also the bedcovers curtains etc are not as bright as in the photos. there was a queen and a single in the room and lots of space and a small balcony.there was an adequate kitchenette but its very cheap to eat out, you don't need to cook. staff are friendly. the restaurant know how to do crispy bacon for breakfast and the lunch and dinner dishes were limited but lovely curry and fish dishes.yes i would stay there again. I opted not to shower until my next destination as the condition of the shower was so awful. The mattress felt like it was about 100 years old. Sheets were stained and threadbare. The noise from the bar was so loud I couldn't sleep even with ear plugs in. Hi Sherly, Thank you for writting a review about our hotel.However, we apologies on the inconvenience caused about our shower and the loud music. We a undergoing renovation shortly and we will showcase our guest once it's done.I will raise the point up to the Food & Beverage apartment about the loud music which is disturbing our guests privacy. Once again thank you for the review we hope to welcome you back on your next visit. The room was very tidy and looked to have been recently refurbished. Air conditioning worked well and with the windows closed it was nice and quiet. Also the bathroom was very nice particularly the shower! One issue was that housekeeping did not service the room for three days. I was later informed that the spare key had been lost. I told the evening staff on the 2nd night however wasn't followed through by the morning staff. Anyways aside from that the staff were friendly overall and I would happily stay again. Hi Nathan! Thank you for taking your time to write a review about our hotel. 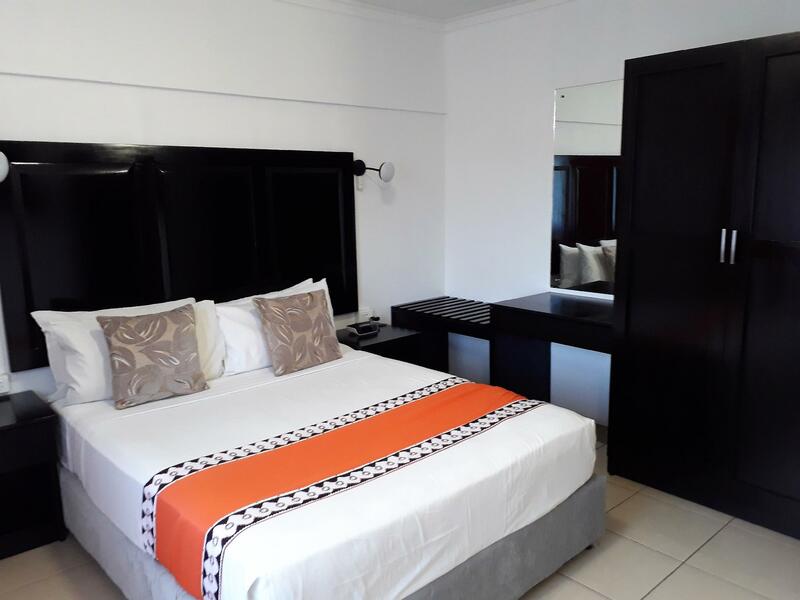 i am glad to hear that you recommended our room as "Very Tidy" room.We sincerely apologies for the inconvenience that caused as result of no service of the room for 3 days.We a seriously looking into the housekeeping department about the delays. We value your patronage here at the Suva motor inn and are committed to improving our services.We looking forward to having you back.